Below is a growing list of web tools to consider trying in the classroom. Many of these resources are better equipped for use on a computer instead of a mobile device like an iPad. Resources will be continually added over time. My Story Maker from the Carnegie Library of Pitsburgh is an online story creation tool for kids. There are several versions of this tool that allow younger and older students to create stories. My Story Maker takes kids through the process of creating characters, motivation, and telling a story with interactive characters. Recite This is a tool that allows you to turn a quote into a creatively designed image that can shared and used in a variety of contexts. Images can be emailed, shared as a link, or through social media. 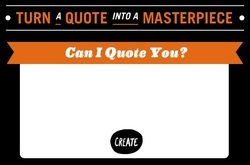 Just type in your quote and hit create. 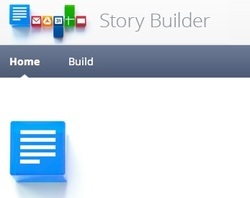 Story Builder is a tool from Google that allows you to create a story as a google doc that plays as a movie when completed. In the creation process, Story Builder prompts you for details from the story and builds the story at the end of the process.